Exclusive! A great option in any season! 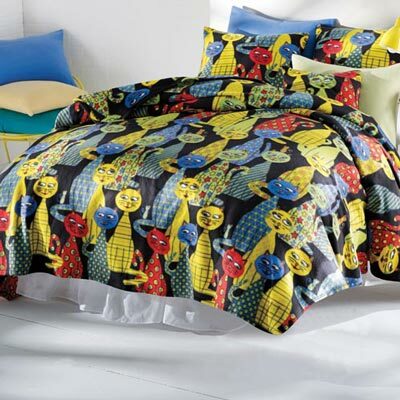 Have the purr-fect night's sleep under this colourful and furr-ociously fun Krazy Katz Fleece Blanket and Accessories! Whisper-weight polyester fleece is super-soft and easy-care making it a perfect option for any season. Pattern placement may vary slightly. Machine wash. Imported.